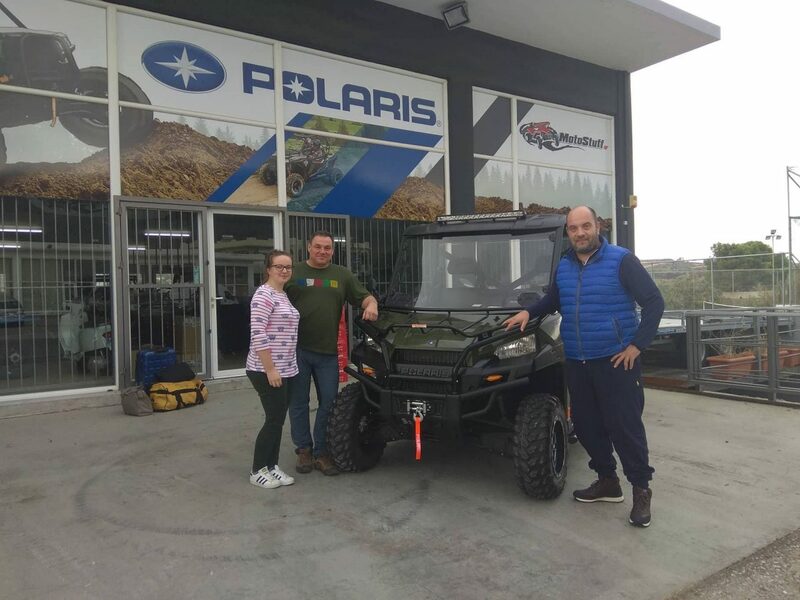 As the curtain closes on the Polaris RANGER 20th birthday celebrations in 2018, two lucky winners celebrated the milestone in true style after winning the ‘Ultimate Ranger Experience’ competition, going on an unforgettable trip to Naxos in Greece, courtesy of Polaris. Crowned winners of the competition that celebrated a double decade of the iconic side-by-side utility machine, UK-based Peter Goble and Elizabeth Toft, won the trip of a lifetime after submitting images showing how they use a Polaris Ranger as part of their work for the NHS North West Ambulance Service. 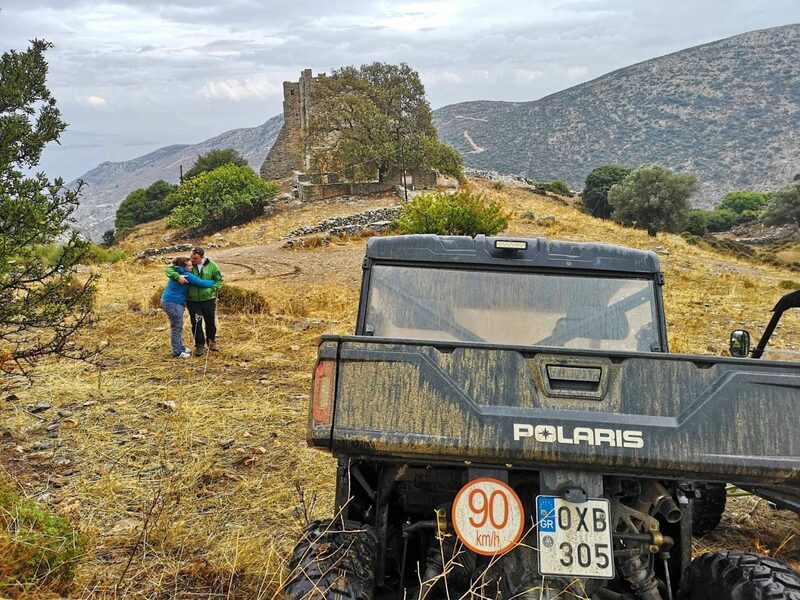 Hosted by Auto Moto Falcon, a rental company utilising Polaris machines in Naxos, the winners spent two days exploring off-road routes in a RANGER® XP 900 EPS, experiencing famous tourist spots, beautiful scenery and some of the island’s hidden treasures. The competition asked owners across the world to send in a photo of their own personal RANGER® experience. 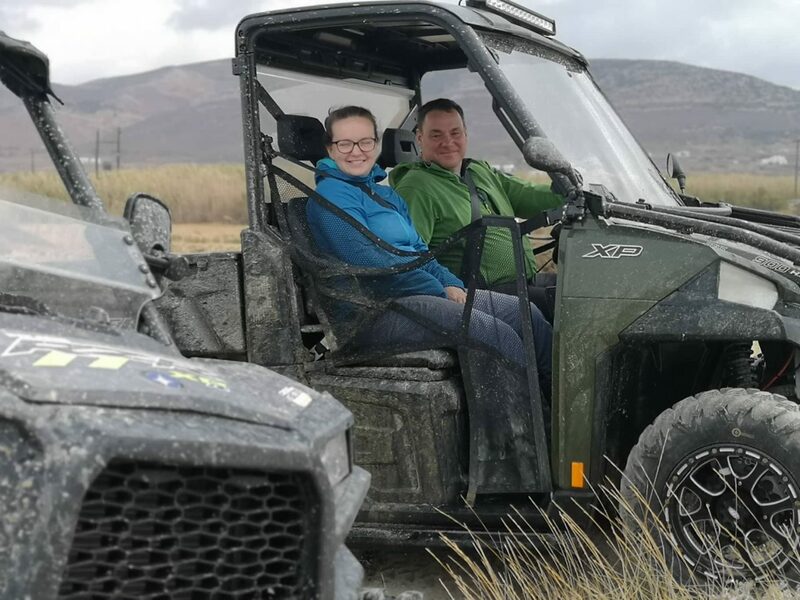 Peter and Elizabeth won one of the EMEA experiences up for grabs with their photo submission of a RANGER® being used for emergency transport services. 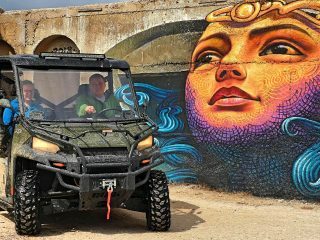 They both work for the NHS North West Ambulance Service and use the specially-modified RANGER® to access difficult terrains, such as moorland, where a standard ambulance wouldn’t be able to go. The pair flew out to Athens on 28th September, followed by a ferry transporting them to the island of Naxos. For the duration of their trip, Peter and Elizabeth stayed in the luxury modern Galaxy Hotel; a typically Greek hotel just a few steps away from Saint George beach. 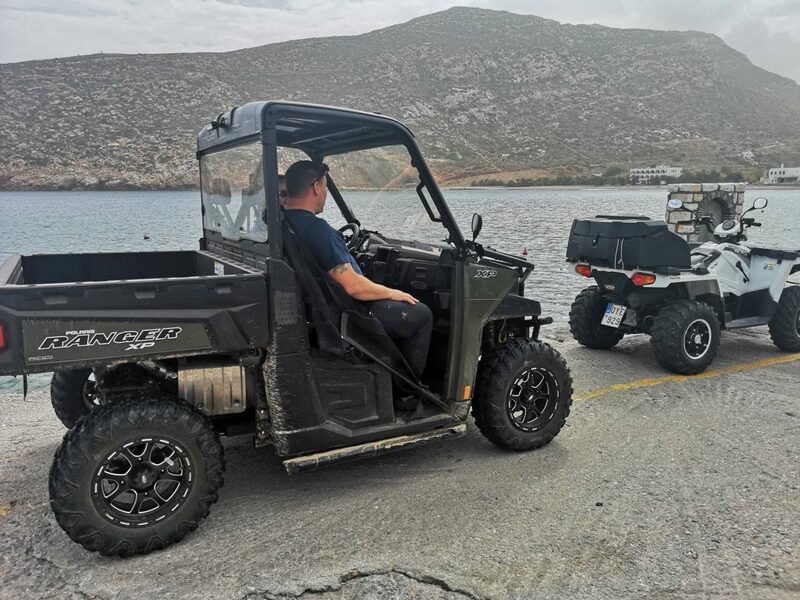 After some initial downtime in the hotel, Polaris arranged two sightseeing-packed days for the winners to enjoy their time in Naxos alongside the RANGER®. 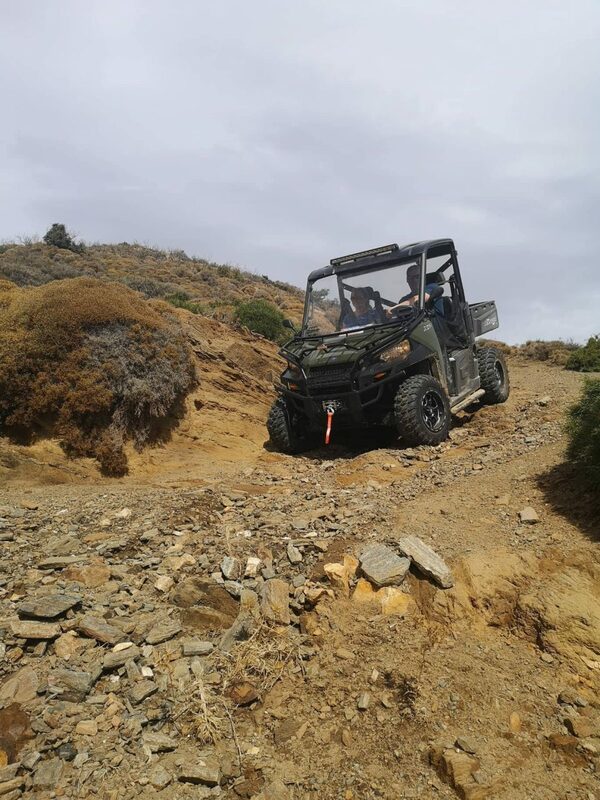 On Saturday 29th September, the group departed for an off-road guided tour to the north of the island following a morning briefing with the RANGER®. They first travelled to the fishermen village of Apollonas for lunch, stopping on the way at the cliffs for a panoramic view of the island. The group then took dirt tracks across the island, passing famous local marble quarries, and finally reached Naxos town where they had time to shop, eat and see the local landmarks. 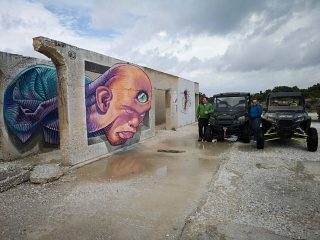 On Sunday 30th September, the group travelled to the southwest coast for the best beaches of the island, stopping at Agia Anna, a sandy beach with clear blue waters, and ending in Alyko to see the well-known Wild Drawings art on an abandoned hotel. The group then continued to reach the highest peak in the Cyclades at the top of Zeus mountain, to visit Naxos’ oldest monastery, Photodotis. They then went to Apiranthos Village to have lunch at the world-famous Rotonda Restaurant, surrounded by some of the most impressive views of Naxos. Forming a key part of the Polaris product line as their best-selling utility vehicle, the RANGER® is used globally for a variety of tasks. 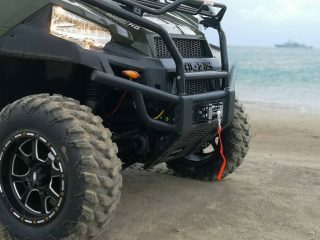 This year marks the 20th anniversary of the iconic model, just a few months after the brand celebrated the one millionth RANGER® unit rolling off the production line.